Specially designed contoured shape ensures greater comfort. Improved abrasion resistance offers greater durability due to 50% increase in thickness as compared to standard flock-lined gloves. The patterned palm and fingers give excellent grip on both wet and dry conditions. Cotton flock-lining offers added comfort and better absorption of perspiration. Comply with US FDA CFR 21 Part 177,2600 & EC Regulation no. 1 935/2004 for food contact applications. Conform to European standards EN420, EN388, EN374-2, EN374-3 and certified to CE Category III (PPE of Complex Design). 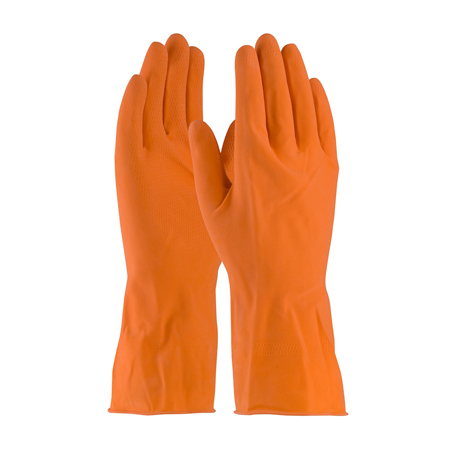 Founded in 1989, SafeHands has expanded its offerings to the industrial markets with a comprehensive line of quality protective gloves. Safe Hands © All Rights Reserved - 2019. Designed by Mars Web Solution.